Love it, teriffic! Intense, enthralling and a pandoras box! Well I feel that’s just a drop in the ocean compared to your posts. I don’t do the fan following mostly . But proud to say that I do am your fan now. Love your style of poetry. Words restrain me from telling how much…. Thank you, it’s nice to be told I have my first fan, your poem was the first written for me so I am touched. I have shared on my Facebook page. Aww thats so sweet of you. 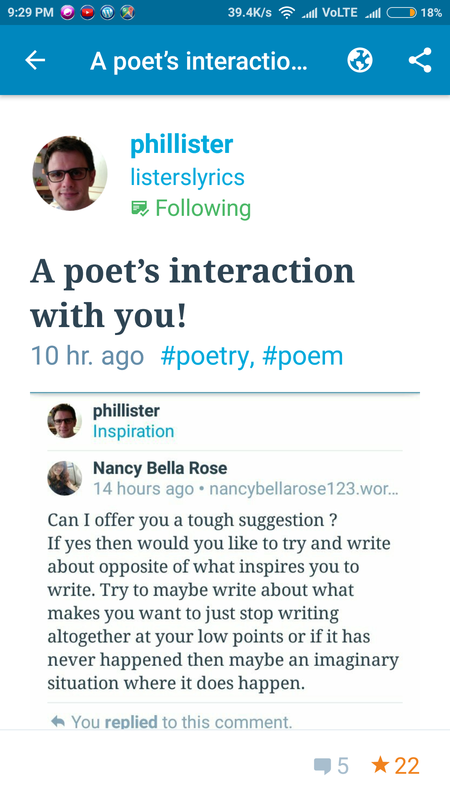 Well I love interacting like this, through poetry. Will surely try to give it another go on some other post of you in the future. I wanted to share yours too but forgive me for my lack of web knowledge. I am new to WordPress.